Gardenside is a single-story home design with open gathering and dining spaces for those who like to entertain. The café allows relaxed bistro dining, and the kitchen overlooks the great room, for larger gatherings. The Owner’s Suite includes his/hers walk-in closets and an optional second-level loft offers additional bedroom and bath options. This plan also offers a front and side load garage option. 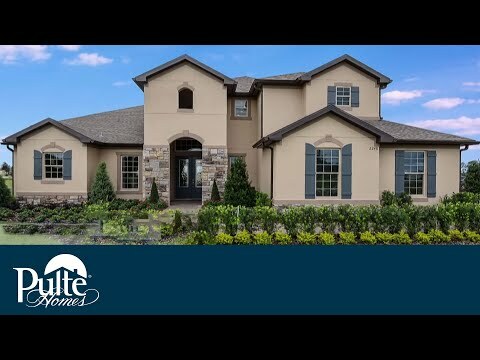 This lakefront community sits on the banks of Lake Brantley in Longwood; offering luxury single-family new construction homes and lakefront living. Gardenside features open concept main floor living and dining spaces, with a large kitchen island overlooking the great room, perfect for entertaining.